Did You Know Your Cosmetic Dentist in Bayswater Offers Dental Implants? Many adults have lost at least one or two teeth, but replacement is important, as your teeth are designed to work together, and each tooth helps to keep its neighbours in position and help you bite and chew food properly. In addition missing teeth can look unsightly, and most people are embarrassed by this. Your options for replacement include having a bridge, some form of denture or dental implants. The last option is slightly more expensive and treatment can take slightly longer to complete, but for most people it will be the best method of replacement and here’s why. Dental implants are likely to be suggested by your cosmetic dentist in Bayswater as they will provide the most aesthetically pleasing results, and they are ideal for anyone who’s concerned about their appearance. A single dental implant to replace a missing tooth can be virtually indiscernible from the real thing, and if properly cared for should last for decades or possibly even your entire life. This makes it an extremely cost-effective replacement in the longer term. Dental implants can also be used to support bridges, and even to secure dentures to prevent them from moving around. While cosmetic results are obviously important, dental implants are also very beneficial for oral health. Natural teeth transmit the chewing and biting forces right through the crown of the tooth into the root, and from there the forces are transmitted into the surrounding bone, prompting it to keep renewing old bone cells, ensuring the jawbone remains strong. Once you have a tooth root removed, the jawbone that used to surround the root will gradually begin to reabsorb. This resorption can create considerable difficulties, as it will affect the stability of the remaining teeth, can lead to dentures becoming less stable, and unsightly gaps may develop underneath bridges. 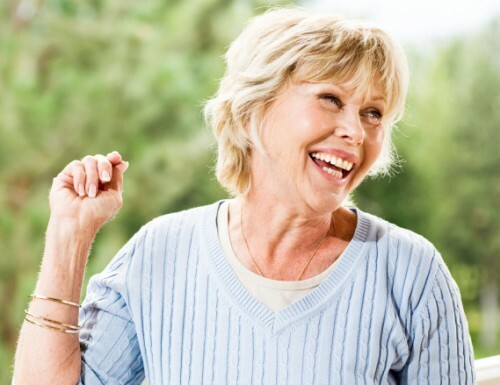 These difficulties can be largely avoided if you choose to have dental implants placed by your cosmetic dentist in Bayswater, as the implant post replicates a natural tooth root, helping the bone to remain strong and healthy. Most people will be suitable, but smokers will need to quit before having dental implants and people with autoimmune conditions such as diabetes may need an alternative form of tooth replacement. If you are interested in dental implants, the best thing to do is to book an appointment with your cosmetic dentist in Bayswater. They will want to know your medical and dental history, and will need to assess the quality of your jawbone as implants need to be surrounded by a minimum amount of bone in order to be strong enough to support a replacement tooth. The really good news is that if you have a tooth that is failing, and which will require extraction quite soon, it may well be possible for Hyde Park Dental Clinic to place the implant at the same time as the extraction. This entry was posted in Dental Implants on 15th November, 2013 by Hyde Park Dental Clinic.